A tanning innovation, TAN-LUXE’s Wonder Oil delivers its luscious oil glow-giver via a cooling roller ball applicator, which not only makes for effortless application but also rejuvenates and sculpts skin, enhanced by a special hydrating ‘Supersculpt Complex’. The oil is infused with organic tanning actives to deliver a buildable, luminous glow, plus a blend of six pure plant and omega oils (including jojoba, argan and raspberry seed oil) to nourish skin. 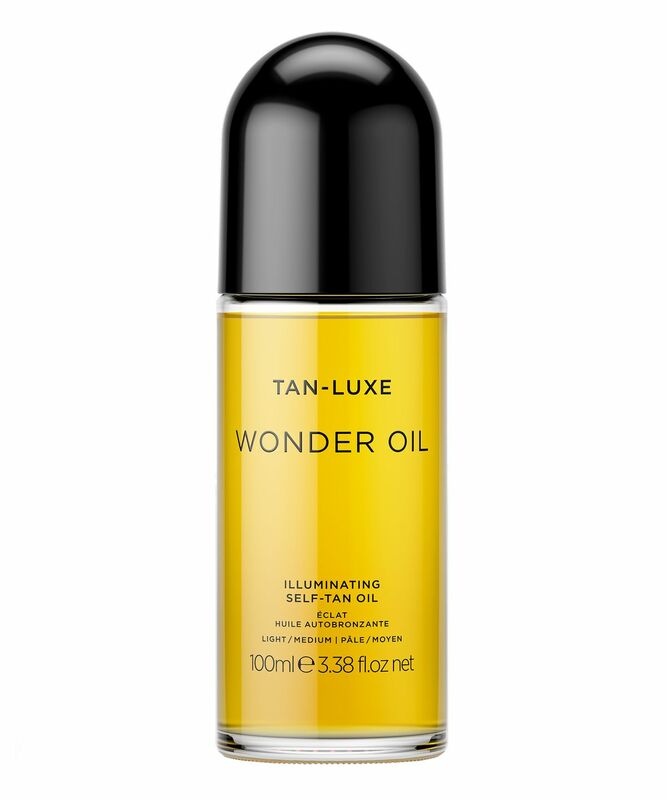 A self-tanning miracle, TAN-LUXE’s innovative Wonder Oil lets you rejuvenate and sculpt your skin while you achieve even, luminous colour. The beauty world’s first oil-based tanner to feature a cooling roller ball applicator, this unique glow-giver makes for an effortless, mess-free application experience – you simply apply it in steady circular motions. As well as easy application, the roller ball offers welcome cooling effects while sculpting and stimulating skin, enhanced with TAN-LUXE’s ‘Supersculpt Complex’, which improves elasticity and texture. Alongside this, a blend of six pure plant and omega oils – including jojoba, argan and raspberry seed oils – keeps skin hydrated for up to 48 hours, leaving it smooth, supple and plump. Steering well clear of tell-tale ‘tangoed’ territory in two versatile shades (Light-Medium and Medium-Dark), Wonder Oil by TAN-LUXE is a revolution in fake tan, giving all of the glow with none of the streaks, smell or stress. We advise a patch test is done 24 hours prior to use. Do not apply on broken, irritated or sensitive skin. Avoid contact with eyes. If a reaction occurs, discontinue use immediately and seek medical advice. Does not contain sunscreen and will not protect against sun exposure.